Sensitive canines don’t have it easy. They frequently suffer from poor digestion, ear infections, itchy skin and rashes as well as other symptoms that can leave them feeling fatigued and miserable. And the most common cause of these symptoms? Inappropriate diet. For one reason or another, many dogs develop sensitivities and full-blown allergies to certain foods – foods that they may have eaten with gusto until recently. To help your furry friend become healthier and his coat shinier, it’s a good idea to switch to a limited ingredient dog food, at least for a while. 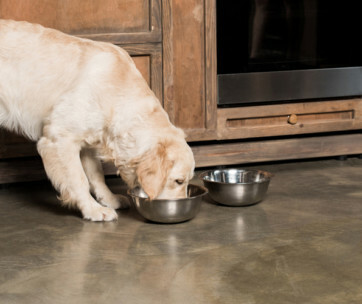 After spending hours on research and editing, we’ve found 15 quality dog foods with limited ingredients, including those with grains and without, so you can choose the right diet for your pet easily. We’ve also prepared a buying guide which should hopefully help you further in your search for the best limited ingredient dog food. Formulated to minimize food sensitivities and maximize the nutritional value, the Blue Buffalo limited ingredient dog food is a fantastic choice for canines struggling with food allergies, intolerances and poor digestion. The main protein source is real turkey while the rest of the ingredients include healthy fats and easily digestible carbohydrates. Turkey, oatmeal, brown rice, peas, flaxseed, alfalfa, blueberries, cranberries and a few other highly nutritious ingredients are included in this recipe. Although packed with healthy foods, the formula is still quite simple as it doesn’t contain hard-to-digest grains or other carbohydrate sources. There are added vitamins and minerals too, as well as Glucosamine to support healthy joint function. Fish and a few easily digestible carbohydrate sources make for a nutritious, hypoallergenic dog food that supports healthy weight. Wellness Simple is a limited ingredient diet dog food that nourishes the health of sensitive canines without irritating their digestion. Key ingredients include salmon, potatoes, peas, tomato pomace and canola oil. Although really simple, this recipe contains everything an adult dog needs to thrive and be happy. Moderately high in protein and relatively low in fat, this formula is ideal for sensitive canines who could use some help in the weight management department. The recipe is fortified with all the necessary supplements, including Glucosamine and Chondroitin Sulfate. 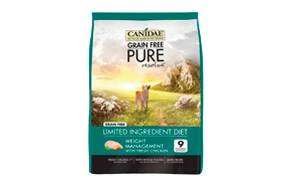 Made with real chicken and other whole foods, including turkey, sweet potatoes and a few legumes, the Canidae Pure Resolve is the perfect grain-free limited ingredient dog food for sensitive, slightly overweight pups. This is a simple recipe that contains only pure ingredients but still manages to provide all the necessary nutrients for adult dogs. Some of the ingredients you can find in this dry food are chicken, turkey, sweet potatoes, chickpeas, peas and suncured alfalfa. Of course, the recipe is also supplemented with vitamins and minerals and even contains probiotics to help with digestion. As you may have noticed, this is a grain-free diet that also steers clear of corn, weat and soy, making it ideal for sensitive canines. With only six main ingredients, Rachel Ray’s natural dog food is a great choice for all sensitive pups. The first ingredient is lamb meal which provides essential amino acids and helps support lean muscle. Although free of wheat and corn, the recipe does contain brown and white rice, some of the most easily digestive grains out there. Besides lamb meal and rice, this formula also contains dried beet pulp, chicken fat and pork fat, so it’s simple as simple gets. To provide a full nutritional profile, the kibble is fortified with vitamins and minerals and it even contains Glucosamine and Chondroitin sulfate for healthy joints. Simple and nourishing, the Natural Balance L.I.D. recipe is a good choice for dogs suffering from digestive issues and skin problems. Packed with healthy fats, this formula supports healthy skin and thick, shiny coat – things that many sensitive pups struggle with. 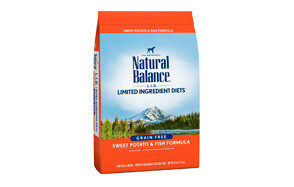 The main ingredients in this dry dog food are fish (salmon and Menhaden fish), sweet potatoes, potatoes, canola oil and salmon oil. All in all, a basic, grain-free recipe that suits the best very sensitive canines. To provide optimal nutrition, the kibble is supplemented with all the necessary vitamins and minerals. Natural and gentle, the Merrick’s Limited Ingredient Diet is free from the common offenders for sensitive dogs – grains and potatoes (this is not to say these ingredients are bad for every dog, though – just some!). Instead, it’s made with simple, highly nutritious foods, including lamb and chickpeas. This recipe is a single-source protein diet, meaning it contains only one animal-based protein source. Besides lamb and chickpeas, the ingredient list also reads lentils, peas, flaxseed and sunflower oil. To provide acomplete and balanced nutrition, this dry dog food contains added vitamins and minerals, as well as Glucosamine and Chondroitin sulfate for healthy joints. If your pup is of ultra-sensitive health, give The Honest Kitchen and this particular recipe a try. Made with only a handful of nutritious ingredients and supplemented with vitamins and minerals, this dehydrated recipe is the best dog food for allergies no matter the age or breed of your pooch. The main protein source here is chicken, which is followed by easily digestible plants and veggies, including organic quinoa, spinach, sweet potatoes, organic kelp and parlsey. There are no artificial or processed ingredients of any kind here – in fact, all ingredients are made in the USA and are human-grade. Made using 10 key ingredients, plus natural flavors and supplements, Nutro LID dog food is a good choice for dogs whose bellies don’t agree with chicken or grains. 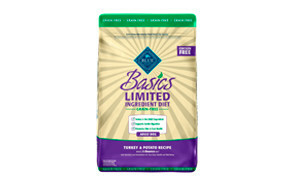 This is a small-bites type of kibble, so ideal for small and medium-sized dogs. Besides lamb and chickpeas, this recipe also contains potatoes and sweet potatoes, lentils, dried beet pulp and canola oil and sunflower oil. This, plus added vitamins and minerals, especially added biotin, makes for a nicely balanced food that is best suited for sensitive canines who struggle with dry, itchy skin and excessive shedding. For older dogs and those that simply prefer wet foods, Instinct LID canned food is a great choice. The recipe is purposefully simple and made with only one animal protein and one vegetable – perfect for highly sensitive canines. In this canned dog food, cage-free turkey is the first ingredient. Easily digestible and nutritious, this protein source provides all the necessary amino acids for a healthy body. As for that one vegetable, it’s peas, a legume that is low in calories but high in nutrients and antioxidants. Of course, there are added minerals and vitamins too which help make this wet dog food nutritionally complete. Delicious and nutritious, Merrick’s canned LID is formulated to support healthy digestion of sensitive canines. The recipe is natural and simple, free of grains and potatoes, the ingredients that some sensitive dogs may not respond well to. Made with just a few nutritious ingredients, including a single source of animal protein – lamb – and a couple of highly digestible carbohydrate sources – peas and flaxseed – this is a good limited ingredient dog food for allergies and other sensitivities. To provide a balanced diet, the recipe is supplemented with all important vitamins and minerals. Super-nutritious but still easy to digest, the AvoDerm’s LID with duck is the diet you want to feed a dog who is allergic to chicken, beef or turkey. Free from grains and gluten-free, this is one of the best limited ingredient dog foods out there as it supports gentle digestion and healthy skin and coat. Besides duck and duck meal, this recipe contains two unique carbohydrate sources – garbanzo beans and peas. There are also avocados present, as well as tomato pomace, alfalfa, flaxseed, kelp meal and added vitamins and minerals, which provide adult sensitive dogs with all the important nutrients. And if your pup gets bored of duck, there are several similar recipes available which you can rotate between without worry. Natural, simple and healthy ingredients is what this savory stew by I and Love and You is all about. With plenty of nutritious but easy-to-digest foods, this wet dog food supports healthy skin and encourages soft, luscious coat. The main protein source is turkey, which is followed by several carbohydrate and fat sources, including dried egg whites, peas, sweet potatoes, beans, carrots, flaxseed oil, spinach and others. All in all, a colorful, flavorful combination of ingredients in a veggie stew. Of course, vitamins and minerals are added, making this diet nutritionally balanced. Although not an L.I.D. dog food, Taste of the Wild’s High Prairie recipe is one of the best dog foods in general and should be tolerated well by most sensitive canines. This is because it’s grain, corn, wheat and soy free formula that is supplemented with probiotics for good digestion. Besides roasted bison and venison, this recipe also contains buffalo, lamb, chicken and fish as its animal protein sources, as well as several nutritious vegetables and fruits. Sweet potatoes, peas, tomatoes, blueberries, raspberries and others provide adult dogs with all the nutrients and antioxidants they need. Still, the formula is supplemented with vitamins and minerals, so it’s a 100% complete diet. Similar to its L.I.D. canned food counterpart, the Instinct L.I.D. turkey dry dog food is specially formulated to support the health and well-being of sensitive canines. With only one animal protein and one vegetable, this is the best dog food for canines with highly sensitive digestions. Turkey is the only animal-based protein here, while peas make up the majority of carbohydrate content. Besides these two ingredients, this kibble also contains tapioca, canola oil, coconut oil and natural flavors to entice picky dogs. Of course, added vitamins and minerals are also there, making this dry dog food balanced and complete. 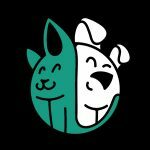 Whether you have a sensitive adult dog, a puppy or both, with Nulo’s Limited + diet, you’ll be able to easily switch to a simple, natural food without buying multiple different kibbles. This dry dog food is rich in protein and healthy fats, supporting a healthy immune system and skin and coat health. Salmon is the only animal protein here, while chickpeas and sweet potatoes make up the most of the carbohydrate content. This limited ingredient puppy food also contains patented probiotic GanedenBC30, which improves digestive and immune health of sensitive dogs. To provide a complete diet, the kibble is fortified with vitamins and minerals. Just a decade ago, you would have struggled to find a good limited ingredient dog food at your local pet shop. Nowadays, with so many different brands and tastes to choose from, it’s difficult to pick just one L.I.D. dog food! From grain-free, to gluten-free, to single protein source, there appear to be countless of limited ingredient dog foods out there. To help you find the right diet for your pet, we’ve prepared this buying guide where we talk about the ingredients to look for and avoid when shopping for L.I.D. foods. We also answer some of the frequently asked questions about this type of dog diet, so stay tuned until the end. Because there is no clear definition of limited ingredient dog food, it can be hard to outline the exact things one should look for. 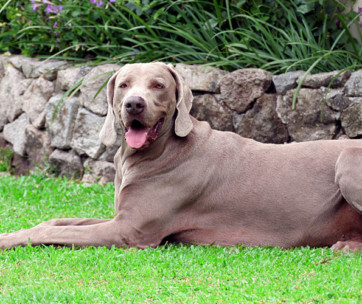 Some dogs are sensitive to grains, some to chicken and some to artificial colors and flavors. Still, there are some general guidelines that can help you pick the right diet for your dog. Make sure the food you plan to purchase satisfies the following criteria. The most important thing to pay attention to is whether or not the food is complete and balanced. According to AAFCO, a dog food labeled as such provides total nutrition to sustain your dog at his given life stage. This means that it provides an optimal balance of protein, carbs and fat, as well as all 23 essential vitamins and minerals. Rest assured, every food featured in our Top 15 list offers complete nutrition. Whether it’s grain-free or potato-free or even chicken-free or not, a quality dog food should contain wholesome and natural ingredients. Preferably, named whole meats and meals, so you know exactly what works and what doesn’t for your dog’s digestion. L.I.D. should also contain at least one vegetable, legume or fruit. Although many pet parents believe that grains are a no-no, the only time you should avoid grans is if you know your dog is sensitive/allergic to them. Generally speaking, whole grains are welcome ingredients in otherwise healthy, balanced foods. Because many sensitive canines have trouble with anything artificial, it’s best to stick to dog foods that contain natural preservatives. Look for tocopherols or vitamin E and ascorbate or vitamin C, and avoid BHT, BHA and ethoxyquin. If your pet suffers from various allergies or has very dry, itchy skin and skin rashes, it’s time to think about the diet you’re feeding him. Even though the food you feed him may be healthy, it doesn’t mean it’s right for him. For one reason or another, some dogs will develop an intolerance or even an allergy to a food or ingredient they once ate with no issues. It’s not exactly known why this happens, but what is clear is that the problem is multi-factorial. This means that there can be a genetic predisposition, but also that the environment can affect/trigger the underlying issue as well. Whatever the cause, if your dog becomes allergic to a certain food or even several different ingredients, it’s best to talk with your veterinarian and go on an elimination diet. Ultimately, when your vet discovers what food is causing the issue, an L.I.D. dog food should be able to help – nourish your pet’s health without triggering his food intolerances/allergies. Naturally, you don’t want to avoid any of these foods unless your dog has actually been diagnosed with an allergy to certain food(s). Food allergies: this is your pet’s immune system’s response to a food (allergen) that her body had previously been exposed to. Although not very common, allergies can be serious, even life-threatening. Symptoms include nonseasonal itching, hives, hair loss, skin rashes and infections, chronic ear infections, sneezing, vomiting, diarrhea. Food intolerance: although they don’t have an immune component, intolerances can have similar symptoms, especially if they’re connected to the gastrointestinal tract. Symptoms include flatulence, vomiting, nausea, diarrhea, weight loss. Q: What is limited ingredient dog food? A: L.I.D. 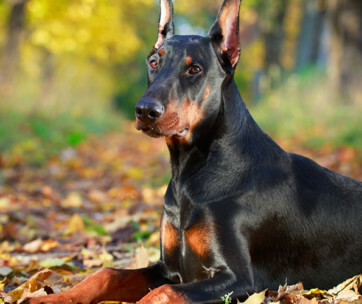 dog foods aim to provide optimal nutrition to canines while excluding certain ingredients. In essence, they contain fewer ingredients than regular dog foods – usually only one protein and vegetable vsource. Although simple in formulation, these diets still provide complete and balanced nutrition. Q: When can a natural, limited ingredient diet help? A: If your dog has trouble digesting his usual kibble/wet food, or has been diagnosed with certain food allergies, a diet limited in ingredients can help. Bear in mind though that most dogs prefer eating different foods (and is healthier for them too! ), so it’s best to rotate their L.I.D. foods every once in a while. Q: How can I diagnose a food allergy in my dog? A: The only way to determine if your dog has a food allergy is to go on an elimination diet trial or, better yet, see a vet who can also run tests to diagnose potential allergies/rule out certain conditions. In any case, you should switch your dog’s regular food (the one that seems to lead to problems) to a diet without the suspected allergen (hypoallergenic dog food) and closely watch his behavior. Q: What is the difference between limited ingredient and grain free dog food? A: L.I.D. is often grain-free, but not always. Likewise, regular dog food may or may not include grains. If you suspect or know what your dog is sensitive to grains, it’s not enough to just switch to L.I.D – you need to read the ingredient list and make sure the recipe you intend to buy is free from any and all grains, including whole grains. This may come as a surprise, but grains are not the usual offenders when it comes to food allergies – instead, beef, chicken, dairy and eggs are. In any case, what’s important is to switch to a diet that is right for your dog, not one that should be healthy in theory. Although there is no one right limited ingredient diet, when we compared the ingredients, formulations and prices, we found the Blue Buffalo’s Basics L.I.D. turkey & potato to offer the best bang for the buck. It’s a simple, easy-to-digest, single-animal protein source dry food that still provides balanced and complete nutrition for sensitive dogs. As a bonus, besides essential vitamins, minerals and fatty acids, it also contains Glucosamine to support joint function and overall mobility. All in all, when it comes to value for money, we believe this is the best limited ingredient dog food currently.